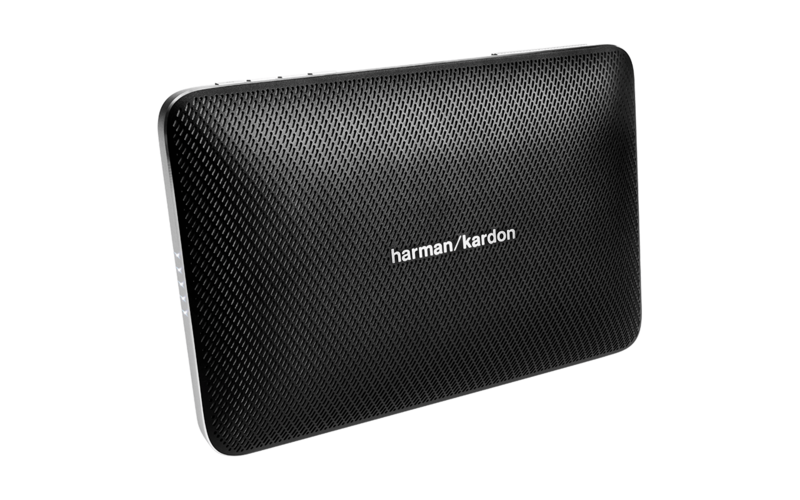 Bluetooth loudspeakers are made of plastics, look trendy and sound, well… These prejudices are not true for the Harman/kardon Esquire 2, because the small, battery driven active speaker without cable convinces all along the line. Compared to its predecessor, it has put on a lot in its design: Harman/kardon describes it as manual quality. This is true, because the elegant, flat casing looks as if from one single cast with its luxurious materials. Smart phones can be connected via Bluetooth to transmit music or work with the Esquire 2 as hands-free system. In addition, smart phones can get fresh energy from the large battery of the Esquire 2 via the integrated USB-connection. The high-end loudspeaker chassis create a convincing sound.